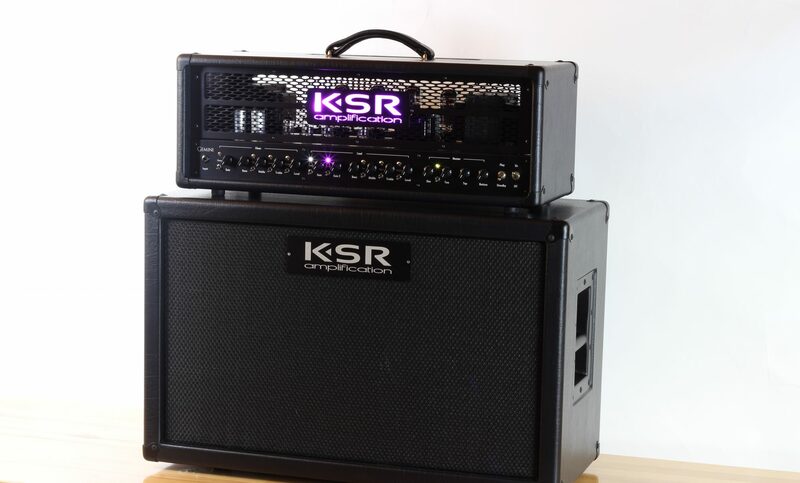 The KSR Amplification RCS/112HW™ straight cabinet is a unique head-width 1×12 cabinet designed to compliment our amp heads. It utilizes the same unique design and superior construction techniques as our larger cabinets. Tuned for superb low end performance while minimizing brittle highs, this is the last cabinet you will ever need. Recessed hardware and casters come standard. The cabinet is constructed of 15mm (5/8″) Baltic (Russian) birch plywood with CNC cut finger (box) joints. During construction all joints are glued, clamped, and cured for maximum strength. The front baffle is secured with 8 screws from the inside allowing for easy grill cloth replacement. The rear panel is removable with steel screws. All panels and hardware are gasket sealed making for an air-tight sealed cabinet. The handles and rear cover are recessed, further illustrating our commitment to building the best cabinet possible. A parallel-mono jack plate wired for 16 ohms comes standard. 8 ohms is also possible, just specify and we will load the appropriate speaker. In short, this cabinet sounds huge, but is still quite portable. Stack a pair and still have a super compact rig, but with more projection. A wide array of speaker and covering options are available. We load these with Celestion Redback 150 speakers, standard. However, choosing various speaker types allows you to refine the overall response to your playing. If you’d like speakers installed that are not listed, please contact us. If you already have speakers, unloaded cabinets are available. All wiring and instructions are included for an easy installation. Cabinet Dimensions: 26.625″ Wide x 15.375″ Tall x 14″ Deep, approx. 40 lbs. Shipping Dimensions: 30″ x 20″ x 18″, approx. 50lbs.